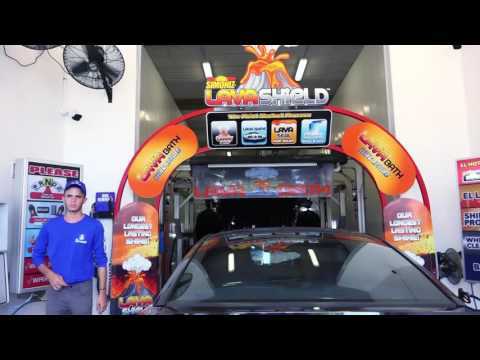 At El Carwash, you’ll receive all the services you need to keep your car looking its absolute best. Whether you have an older car or a sparkling new car, trust the team at El Carwash to keep it clean, fresh and attractive for years to come. On the road, grease and grime coat the exterior of your vehicle. Inside, the floor mats wind up coated with grass, dirt and sand, while spilled food and drinks from messy children and adults stain the seats. Even if you’re extremely careful with your car, it will still get dirty. Every once in a while, it needs some extra loving care and we are here to deliver with impeccable professional service and affordable pricing. With our interior cleaning, you can enjoy a crisp and clean look and feel from the headliner to under the front seats. You love how your car looks when it’s clean, but you don’t have the time to vacuum, scrub, polish and shine. The good news is that you don’t have to with our affordable services. For over 6 years, El Carwash has been providing quick, convenient and spotless carwash services. Enjoy a car that looks brand new whenever you drive it with our cleaning services performed with tender loving care. From wash and wax services to interior cleaning to headlight restoration, your car will look as if you just drove it off the lot. Turn heads with a like-new vehicle today! Discover your car’s hidden beauty by leaving the dirt, dust and grime behind. We guarantee we will leave your vehicle immaculate and shining. Give us a call today to see the clean difference at (305) 554-4746! Copyright ©2018 El Car Wash. All Rights Reserved.